If your Samsung Galaxy Tab S 10.5 (SM-T800) has a broken screen Mountain Stream are here to repair your tablet for you and return it to you promptly. Given that this device is relatively new to the market we cannot determine yet if the Digitizer and LCD can be safely separated without causing damage to the LCD. Until we are able to determine this we are only able to offer full screen assembly repair. We are also able to replace smaller components such as cameras, flex cable, micro USB connectors etc. These parts are more readily available. Please see below for our fixed prices for repairs. Prices are inclusive of parts and return standard postage or personal delivery. For other Samsung Galaxy Tab S 10.5 repairs please request a quote by email, phone or by using our enquiry form. ALL PRICES BELOW ARE INCLUSIVE OF PARTS, LABOUR AND RETURN OF YOUR SAMSUNG TAB S 10.5 IN PERSON OR BY POST. PRICES DO NOT INCLUDE ANY PRE-REPAIR DIAGNOSIS. 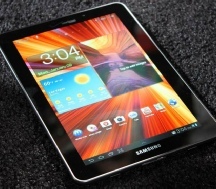 FOR A PRICE ON REPLACING ANY OTHER SAMSUNG GALAXY TAB S 10.5 COMPONENT PART PLEASE CALL, EMAIL OR USE OUR ENQUIRY FORM.